The Crown Berkey Water Filter System was designed after September 11th, 2001. Since then the world has seen its fair share of tsunamis, hurricanes, and other devastating natural disasters. Are you prepared for all of these emergencies? Is your neighborhood, church, or any other group you belong to ready? This is Berkey’s largest Water Filter System. 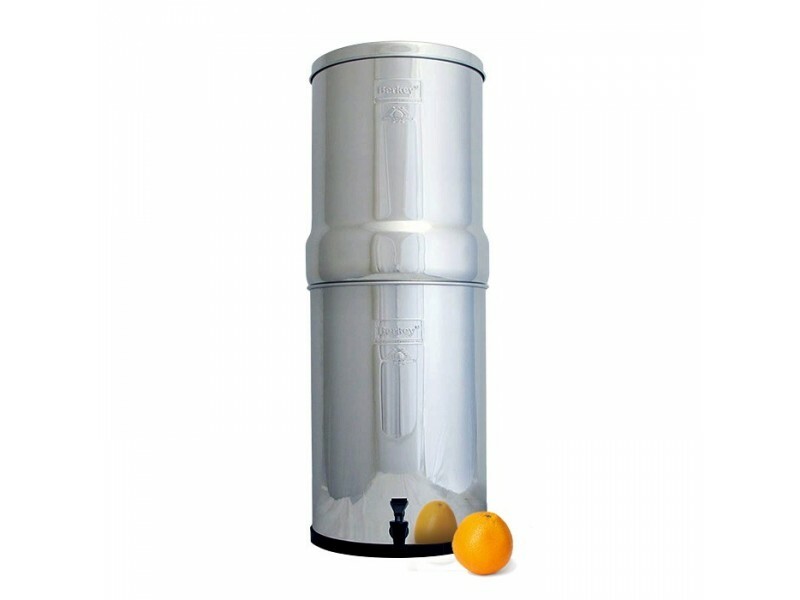 When fully loaded with up to eight Black Berkey Purification Elements, this “King of Water Filters” will produce up to 25 gallons of purified drinking water per hour. If you want less, simply decrease the number of Purification Elements. Even with the two it comes with you will still get up to 6.5 gallons per hour. The Crown Berkey Water Filter System was designed after September 11th, 2001. Since then the world has seen its fair share of tsunamis, hurricanes, and other devastating natural disasters. Are you prepared for all of these emergencies? Is your neighborhood, church, or any other group you belong to ready? This is Berkey’s largest Water Filter System. When fully loaded with up to eight Black Berkey Purification Elements, this “King of Water Filters” will produce up to 25 gallons of purified drinking water per hour. If you want less, simply decrease the number of Purification Elements. Even with the two it comes with you will still get up to 6.5 gallons per hour. It’s easy to set up and only takes 10-15 minutes of your time. After that you’ll start seeing the results and you will be drinking the cleanest, best tasting water within minutes. 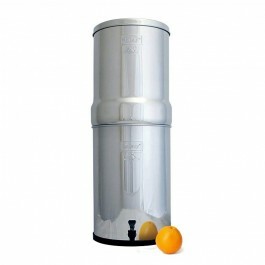 Get the Crown Berkey to remove not only bacteria but viruses as well. Use it to extract harmful chemicals such as pesticides, herbicides, organic solvents, trihalomethanes, and radon 222. In addition it reduces nitrates, nitrites and any other unhealthy minerals like lead and mercury. This Crown Berkey is so efficient it can remove all the harmful elements from water without eliminating the minerals your body needs. No other system is able to replicate the performance of the Crown Berkey Water Filter System, especially at such a large scale! Easy to use, easy to clean, easy to keep your family and loved ones safe. If you are looking for the best in water filtration systems then look no further than Berkey! You will see why Berkey is the most trusted name in water filtration.